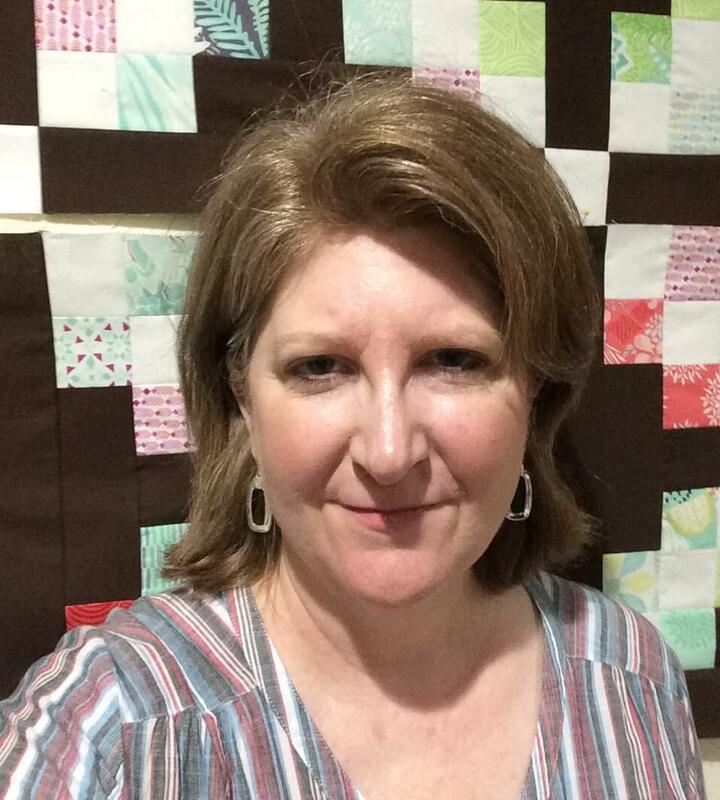 Hello, again friends and fellow quilters! I’m back with a quick post to link you up with some of my favorite places on the web. These are websites where you can find FREE downloadable quilt patterns. And I’m not just talking about a few patterns here and there. 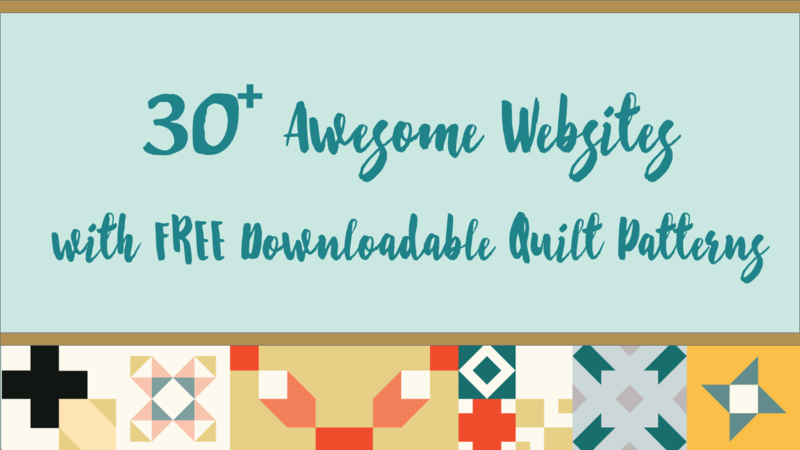 Many of these sites offer hundreds of free downloadable quilt patterns. When I first started quilting, I collected many patterns, mainly because I was on the hunt for patterns that explained various techniques in a clear and concise way. Over time, I found several sources where I could download the patterns for free, and I thought I would share those with you today. Some of these may be familiar to you, but hopefully, a few on this list will be newly found treasure! I apologize for not giving you much in the way of quilting eye candy, but I promise that if you click on the links, you will have more than you can handle! Now, who doesn’t love a freebie? (I actually have a few freebies on this site, and after compiling this list I feel like my next project needs to be beefing up my own list of free offerings!) While free is a really good thing, I think it’s important to keep in mind that at some point somebody worked very hard to design and write the patterns that you will find on these sites. While the site owners are generous, they ultimately make their living from the sale of quilting patterns and products. So, I would encourage you, as you are able, to find ways to support the shops and businesses below by purchasing their products. It’s a great way to support the designers and makers of the products you love and thank them for being so generous with their content. Make it Coats Quilting Patterns – This site features a great selection of small projects. Instructions are concise and bare bones, but sufficient. Moda Bake Shop – This is Moda’s blog where independent quilters guest post with an original project designed for specific lines of Moda fabric. The posts are well written with extensive instructions and photos. Art Gallery Fabrics Free Patterns – An incredible collection of modern designs, including a foundation piecing pattern for an Art Quilt of a deer. Marcus Brothers Fabrics Free Quilt Patterns – Another site with many pages of patterns, both traditional and modern. Unfortunately, there is no way to filter or sort them. RJR Fabrics Basic Free Patterns – A nice variety of beginner and experienced quilt patterns here, as well as a good mix of traditional and modern. RJR Fabrics Collections Free Patterns – Again, a great mix of beginner and challenging projects can be found here. Northcutt Fabrics – Northcutt’s site contains a mixture of quilting patterns as well as garment and small sewing projects. Michael Miller Fabrics – LOTS AND LOTS of patterns here! Benartex – a pretty long list. There are filtering options, but I’m not sure how well they will help you sort through. Most designs are traditional, but there are also a few excellent transitional and modern options. Andover Fabrics – Over 600 patterns here for quilts and small projects. Many of these are created for specific quilt panels which are probably no longer available, but there are a lot of unique ideas in here. Blank Quilting – current projects and Blank Quilting – archived projects. Lots to go through here as well. Most are full pattern downloads, but a few are simply data sheets without the pattern. Accuquilt Free Patterns – This site does require you to create an account before you can download, but Accuquilt offers over 700 free patterns. Lots here to keep you busy! In The Beginning Fabrics – A limited collection of free projects, but a few may be of interest. Makower UK – Simply a treasure trove of free downloadable quilt patterns. Oakshott Fabrics – Nice selection of modern trendy quilt designs, as well as a few bag projects. P&B Textiles – 11 pages of great designs, including some great designs for kids. Edyta Sitar – Laundry Basket Quilts – Just a few projects here, but they are lovely. I’ve made several of these. Brigitte Heitland – Zen Chic – One of the best selections of free modern patterns that I have seen. Tula Pink – God bless her generous heart! If you love Tula, you’ll be delighted. Amy Butler Designs – Unique patterns that capture Amy’s unique style. Cherry Blossoms – Great selection of adorable applique quilts. You must register with the site first before downloading. Modern Quilt Studio – Weeks Ringle and Bill Kerr are two more generous hearts. I found them through a book they published and was lucky enough to meet them at the Houston Quilt Show. Kits are available for most of the patterns they offer. Faith Jones – Fresh Lemons Quilts – Faith is one of my personal favorites and her site has several free patterns as well as some tutorials and quilt block patterns. Kate Spain – fresh modern designs. You’ll love these. Lillyella – some nifty modern patterns, including a sewing organizer station and a mini sewing station. A lot of online fabric shops will link you up to a few free patterns on some manufacturer sites, but a few online stores have a wealth of original pattern content. Be sure to check these sites out, and support them with purchases when you can. Fat Quarter Shop – Fat Quarter shop continues to excel in first-rate original pattern designs. Be sure to check out their charity quilt-alongs. While you can get the patterns for free, it’s nice to donate a small amount for these incredible patterns, as you know it is going to a worthy cause. Missouri Star Quilt Company – Missouri Star does their freebies a bit differently. Each is tied to a video tutorial. You can usually download a PDF with layout instructions, but you’ll need to watch the video for most of them to get the specific details on how to cut and make the project. Craftsy – If you’re into digging, you can always find something for free on Craftsy. Since patterns are uploaded by individual and independent designers, you will not find a lot of consistency in how the patterns are formatted. Some will have loads of instruction. Some will be bare bones. I do highly recommend that you type Angela Walters into the search box here and look at the freebies she posts to go along with her Midnight Quilter YouTube channel, which Craftsy sponsors. You can find also find Angela’s free stuff here. All People Quilt – This is a site for the magazine. There are OODLEs of patterns here and most of the ones I sampled were well written. Shabby Fabrics – Some unique project ideas here. Love Patchwork and Quilting – Love Patchwork is one of my favorite quilting periodicals. They have a great selection of projects – both large and small. McCall’s Quilting – Another great publication with a healthy-sized vault of free downloadable quilt patterns. APQS – APQS posts one free pattern every month, and each one is a gem. Martingale Publishing – A nice collection, but you must first register with their site. C&T Publishing – Really. Good. Stuff. If you happen to be a member of the Modern Quilt Guild, you have access to a monthly free pattern in the Community Section as well as other educational resources. If you are not a member, you should consider it, as it’s money well spent. 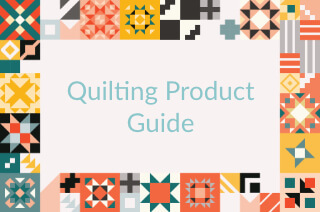 I hope you find this roundup of free quilt pattern downloads helpful. And if you happen to notice that any of the links are not working or you know of a great site to add to the list, please contact me.